Fatal alcohol-related car accidents in Massachusetts rank our state at 31st in the U.S. In 2009, there were nearly 110 people who died in the state because of drunk driving accidents. These accidents cost tax payers nearly $800 million, according to the Berkshire Eagle. Recently, friends and family members of those who have been killed in an alcohol-related traffic accident gathered at St. Stephen’s Church to remember loved ones. There were nearly 100 people at the candlelight vigil, which was hosted by the local chapter of Mothers Against Drunk Driving (MADD) and the Berkshire County District Attorney’s Office. Our Boston drunk driving car accident lawyers understand that the holidays are a time for friends and family members to gather and give thanks. Unfortunately, friends and family members gathered at the St. Stephen’s Church to remember those who aren’t able to join us today. Every year, thousands of people are killed in drunk driving car accidents. These numbers skyrocket during the holiday season. Drivers are urged to be safe and responsible throughout the remainder of the year. “This remembrance is the one gift we can give back to those we lost,” he continued. “Once again, sadly, the list has grown,” said District Attorney David F. Capeless. Capeless also used this time to remind our community that December National Drunk and Drugged Driving Prevention Month. Capeless stood before our neighbors and spoke of nearly 50 local residents who had been killed in impaired-driving accidents. 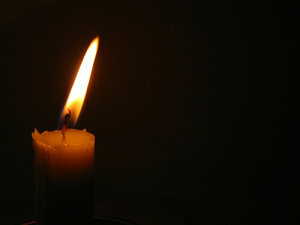 As Capeless would recognize each victim, a family member or a friend of that person would approach the altar and would light a candle on their behalf. If no one was able to attend for a particular victim, members from the Massachusetts State Police Department would light the candle for them. Many of the victim’s names were read with accompanying photos projected through a monitor on the front of the altar. Capeless says that there are more and more names on the list every year, but it’s an event in which we can all come together to recognize our loved ones and to raise awareness about the problem — drunk driving. This event has been hosted by the District Attorney’s Office since the late 80s. With Christmas and New Year’s right around the corner, officials are expecting a significant increase in the number of fatalities we’ll see on our roadways, many of these alcohol-related. Residents are urged to be responsible during the holiday season and to avoid getting into the vehicle after consuming alcohol. Residents are reminded to always designate a sober driver. If you’re unable to find a driver, consider spending the night in either a hotel room or at a friend’s house. There’s no reason for anyone to get behind the wheel after consuming alcohol. We wish you a safe and happy holiday season and ask everyone to celebrate responsibly. If you, a family member or a loved one has been the victim of an alcohol-related car accident Boston or in any of the surrounding areas, contact the drunk-driving accident attorneys at The Law Offices of Jeffrey S. Glassman for a free and confidential consultation to discuss your rights. Call 877-617-5333.